I am a professional quilter in my early 50s. I live in beautiful West Michigan with my wonderful, handsome husband.We have one daughter who is about to get her master’s in Library and Information Science. 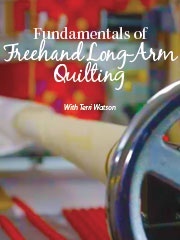 I recently added an Intelliquilter to my quilting system and am learning how to incorporate that tool into my work. Many of the photos you will see on the ThreadTales blog are client quilts. Occasionally, I get to slip one of my own on the machine and even more rarely I will write a post about something that is NQR (not quilt related). I read that you went to Shipshewana. Do you live in Indiana? Ruthie, I live in Michigan near Grand Rapids. I love love love your blog header. I was positive that that lighthouse was in Nova Scotia Canada. But I see you are in Michigan. Nice..
And I almost forgot to say that I love all your quilting. Man, you take great photos of your work. I’m so inspired. I’ve just recently found your blog & have been enjoying your sense of humor & quilting! I have an HQ16 & began taking client quilts in January… tho so far I’ve only quilted for the same client. lol Word of mouth has been slow. Love your quilting! Are these pantos or freehand? I love your work and look forward to learning lots from you! I want to see your piecing on the frame technique so will be watching for posts. Thanks so much for sharing with us. Where are you in W. Michigan? Near Holland? We have a lake house there. Yep, Nancy…I am in Grandville, Mi just a few miles from Holland. I was cruising the blogs and suddenly recognised this wonderful quilt at the top of a page – you had shown it to me last week. As usual your beautiful freehand work leapt out at me. Your quilting always enhances, never takes over, and adds so much to our quilts. You are certainly blessed with a talent, and I am one of the lucky ones whose humble quilts have been given the magic touch of your skill. Adrienne – you are too much! LOL Glad you found me! And stop putting down your quilts. They are bright and fun and marvelous! I just picked up an old quilt from my mom. She requested I “look at it” & see if I can “stabilize it”. It has been in use for at least 70 years. Its machine pieced, hand quilted. The bindings are pretty much completely worn out as is much of the border. I believe it was created w all new fabrics, (as opposed to fabric scraps from used clothing). It is dirty too. She was afraid to wash it, for fear it would fall apart. I thought I would gently soak it in the bathtub w quilt wash, lay it flat to dry. FYI, I use the same wordpress theme. You can remove the search at the top of the screen. Go to your dashboard, then appearance, then theme options. The first option is to hide the search. It drove me crazy until I found that. Do you have a recipe for the cookies you show. They look like fun. They are also on my Pinterest Holiday Food board. Would like to have your recipe for your chicken noodle soup and the bread that you make.. they sound delicious…..
Saute’ veggies in a little olive oil until slightly browned, add cooked chicken and broth and can of tomatoes. simmer until veggies are cooked through. Add uncooked noodles. Simmer until noodles are done. Salt and pepper to taste. If you like garlic you can add a little chopped garlic while you saute the veggies. Just be careful that the garlic doesn’t burn. Mix yeast and warm water…add on cup of flour. Mix. Add sugar and salt and another cup of flour. Mix. continue until all 4 cups of flour are added. Turn out dough onto heavily floured surface. Knead adding more flour as necessary until dough is smooth and springs back. Let rise in buttered bowl covered until double (about an hour) punch down and knead for a minute. divide dough in half and roll out into long loaves. Place loaves onto greased french bread pan. cover with plastic wrap sprayed with Pam or similar. Approx 1 hour. Preheat oven to 350 F and bake for 35 minutes. Terri your blog is awesome! You live in Grandville….SOOO close to me. I am looking for someone to make a t-shirt quilt. Is this a service you offer? If so, could you email me your information? threadtales@comcast.net or call 616-257-0395 for more info. Do you still quilt for hire? Yes, Sharon. Quilting is my full time job. I just found your blog this weekend and have enjoyed going through all the pictures. You have some amazing designs. I recently started using a long arm and I was wondering, for your border designs, do you flip your quilt so you can do the border in one long piece or just sew as you roll? I have turned a quilt once in 10 years and decided it wasn’t worth it. I am sure there are others who feel differently. Could you please tell me the name of the quilt pattern on 12-29-2013. It has greens and oranges in it. I instruct at a quilt camp and am looking for patterns that would be good for quilts for beginners. Thank you! That quilt is a client’s. I do not have a pattern name for it. Although, it would be fairly simple to recreate. 9 patch block, alt. block and sashing. You could draw it out on grid paper and make the blocks any size you wanted them to be. I just found your blog through pintrest. I am also a Michigander. 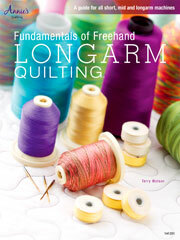 I live up near Cadillac and I have been longarm quilting for 4 years. Most of my quilts come through the mail. I have quilts that I have longarmed all over the U.S. I love the diversity and I love my customers. I do mostly pantographs but love to do custom. Hello, I just stumbled in your blog by following a link. I am in West Michigan also and very happy to have found you. I have hand quilted for about 30 years not as much as I would like do to cardiac issues holding me back. But I do love it, so! I hope to be able to contact you in the future about having long arm work done by you. I truly enjoy what I have seen of your work. Thank you, Marcia. I look forward to hearing from you and seeing your projects. Love you quilting and tips! 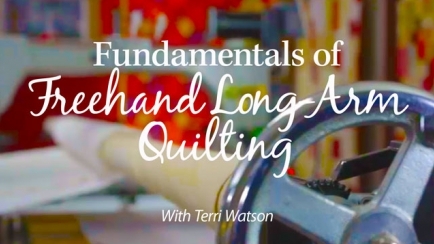 I’m new to long arm quilting and am hungry for any bit of information I can get- thank you for sharing! Good evening, I am considering the purchase of a sit down long arm such as the Tiara II or the Bernena Q20. Do you have any experience or words of wisdom that you can share? Do you offer any classes for this type of long arm? I have quilted 11 quilts of all sizes on my Viking Sapphire and would like to “upgrade.” 😊 I have spent several hours on them at Lakeshore sewing and am now a bit overwhelmed … Any thoughts would be appreciated. I want to thank you for the lovely quilts you share with the rest of us. I really look forward to seeing what you have done. Well said Ruth. Some of the patterns you show I already own but find out how much I like them when I see them on your blog. I only do edge to edge customer quilts, unless they are a special (very special) request. Thanks for reading! I don’t have a design called Turkish tiles. Perhaps you saw it on a different blog. If y do a Google image search for the name plus quilting design you might get lucky. Thank you, Terri, for your quick response. Yours is the only quilting blog I follow, so I don’t know where I could have seen it. But the design does actually exist and is for sale, so I didn’t just dream it up. Hmmm.. a new mystery. 🙂 Please keep showing us your pictures. You really are an inspiration, particularly to us novice quilters. Love your work! What thread do you use in the bobbin? HI, Kathy. I use Bottom Line from Superior threads in my bobbin. It’s thin, strong and comes in colors that I can coordinate with my top thread. You spoke at our long arm guild (NILAG) and I believe you mentioned some thread colors that blend over a wide range of fabric choices. I just made the quilt, Jungle Friends, by So Fresh Quilts. I used a light blue background it don’t know if a silver/gray would look good on the animals. I plan to do a pantograph on it. Thanks for any suggestions you might have. I have been looking at Google images for this quilt. If you have used similar colors for the animals I would audition threads that blend with them if possible. A light to med. green, (I like winter well Omni from Superior) or a dull gold/tan/taupe. I know this will show more in your background, but it might interfere less with the piecing in your animals. This is the best I have to offer without seeing the quilt. I am afraid that was a client’s quilt. I do not have the name of the quilt top pattern.